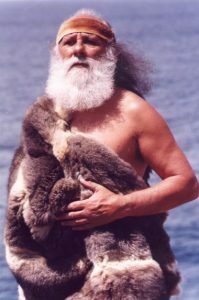 Francis Firebrace is a cultural educator, indigenous storyteller, and artist, combining the four elements of `The Dreaming’: storytelling, dance, art and music. He presents workshops and storytelling performances to groups of all ages and types, both in Australia and internationally. He is in great demand as a teller for festivals overseas. 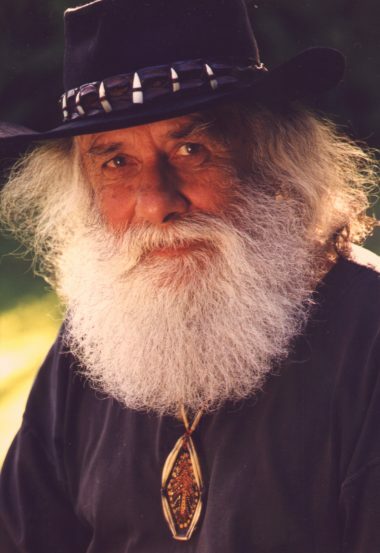 Now recognised as one of Australia’s best Aboriginal storytellers, Francis Firebrace has been performing his Dreaming stories at schools, functions, festivals, in theatre, on radio and television. Francis has a remarkable presence. Wherever he appears, he leaves a lasting impression. Born in a small country town on the Murray River, his father was Aboriginal and his mother, European. Working as a drover and stockman and travelling all over outback, New South Wales and Queensland, as a young man, Francis acquired and told many of his Dreaming stories. Later his interest grew and he studied and learnt other indigenous stories, given to him by Aboriginal people, scattered throughout this vast land. His popularity is due to the fact that the stories he tells contain messages about caring for each other and the earth, about racism and greed. He aims to bridge the gaps, separating people, by generating a greater understanding of his cultural heritage and the lessons it offers. He works hard for reconciliation in Australia between the white population and the Aboriginal community.